Erica Noonan is a social media specialist for Advocate Aurora Health. She earned her BA in advertising and public relations. In her free time, she enjoys hiking, trying new sushi and binging the occasional Netflix series. 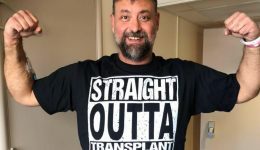 He was on the transplant list for years until he went to the fateful game. Look out for these four things.